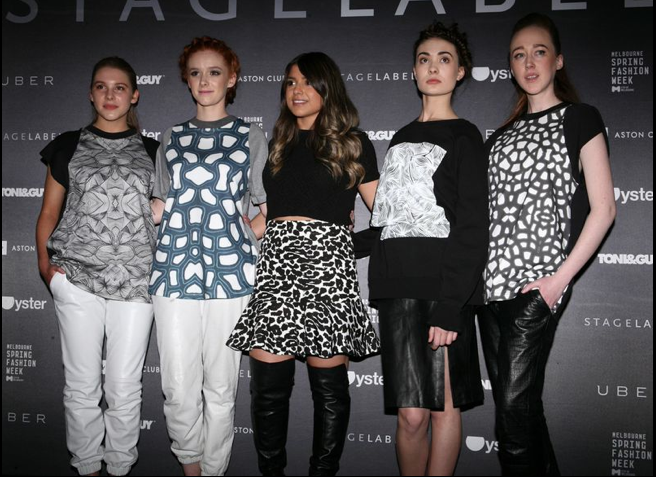 VAMFF kicked off in style this week with the highly anticipated StageLabel cultural runway show 2015, in which designers celebrated their individual style and made their unique ‘fashion fingerprint’ in the industry. 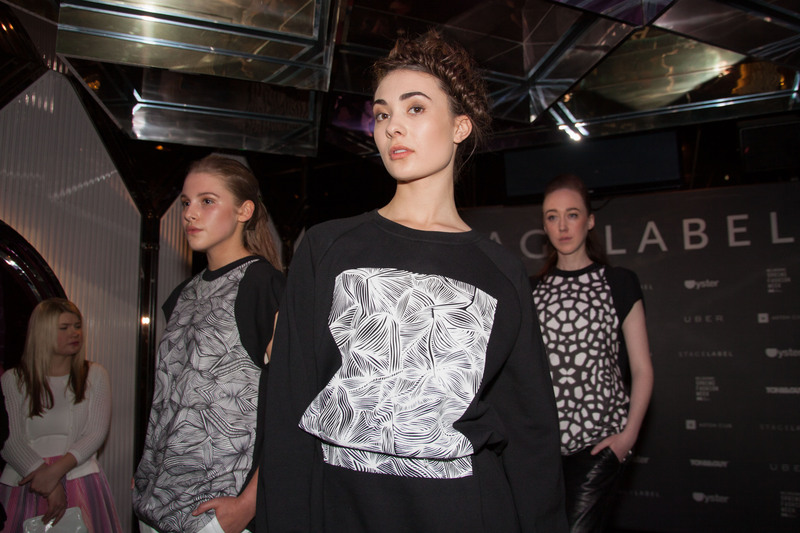 Held at the beautiful waterfront docklands the event showcased eight incredibly individual and talented emerging designers from across the globe. The spacious warehouse swiftly began to thicken up with fashion savvy associates, sipping on flutes of champagne and nibbling on appetisers; the room seething with anticipation for the upcoming showcase. Each designer revealed four or more of their designs, ranging from classic clean silhouettes to fun and gregarious garments. Here are my fashion choices of the night. Belinda is the creator of Billy & Boo. Her collection focuses on classic and contemporary designs, using different textures and fabrics. This piece below is sophisticated and great for any special occasion out. Braddon Tailors suits are tailor-made to perfection. Philip Morgan creates custom-made master pieces that will fit your body like a glove. Hayleah’s garments are a celebration of fairy tales. Her creations are marvellously unique wholly inspired and based upon fairytale books. This collection was inspired by “The Folk of the Faraway Tree” by Enid Blyton. My pick is the pixie trousers they’re very unique statement piece. Lola and Lamar are bold and daring brand. Their individual pieces are infleunced by the iconic1980’s and 90’s. Those of the brave hearted and who are not scared to show a little skin. 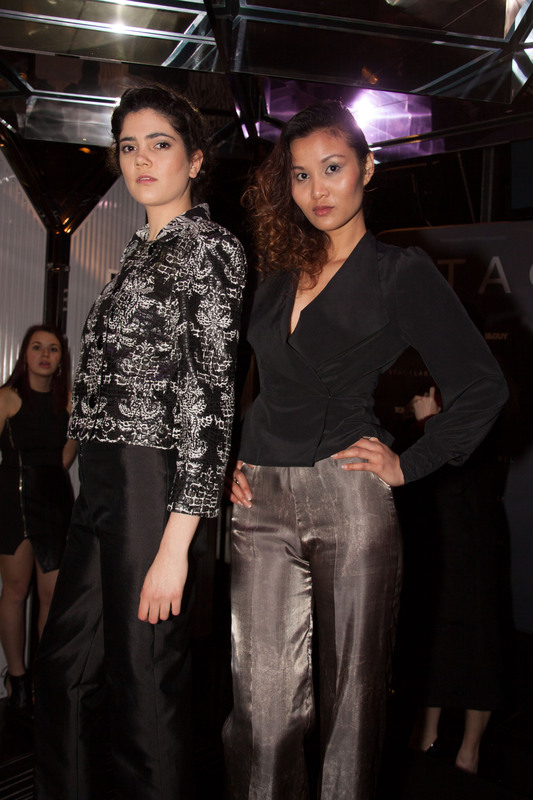 Nathaly focuses on sustainable special occasion wear. She has created pieces for special occasion that you can wear for more than just a special occasion. This piece was definitely a stand out piece on the night. The fabrics they used in their collection were rich and vibrant. The lily dress not only beautifully made in this royal purple colour which I love, but the detail beading on the tenunan panelling across the chest. Are YOU and aspiring designer? Well, this competition is just the one for you! This an opportunity that is not to be missed! StageLabel has created a competition for aspiring designers. 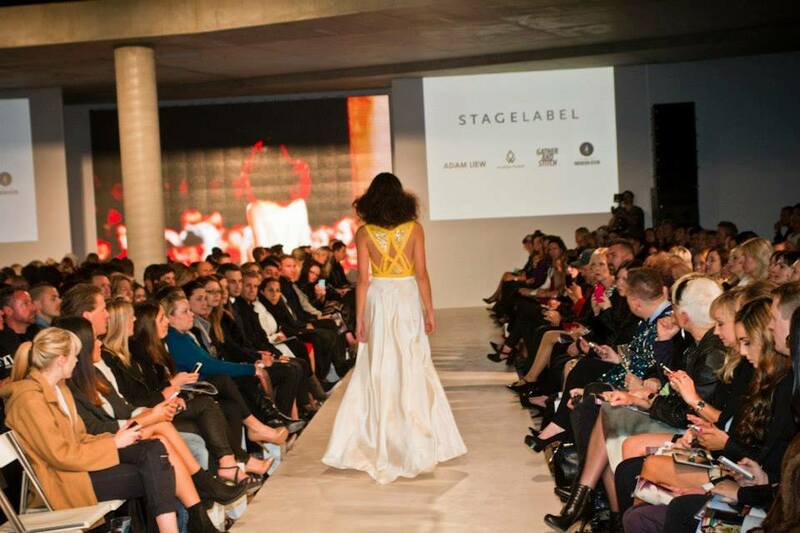 StageLabel will be giving an opportunity for 3 lucky designers to win a chance to be featured on StageLabel’s VAMFF 2015 Cultural Program runway showcase in February 2015. The event will feature a number of talented designers from across the country with the winners having all expenses for their showcase covered with StageLabel providing hair and makeup and models free of charge and will include fast tracking of garments to StageLabel Projects and the opportunity for a one-on-one strategy session with the StageLabel CEO. StageLabel has launched a competition for aspiring designers to turn their fashion dreams into a reality, and you have the chance to select which designers will be part of the showcase! 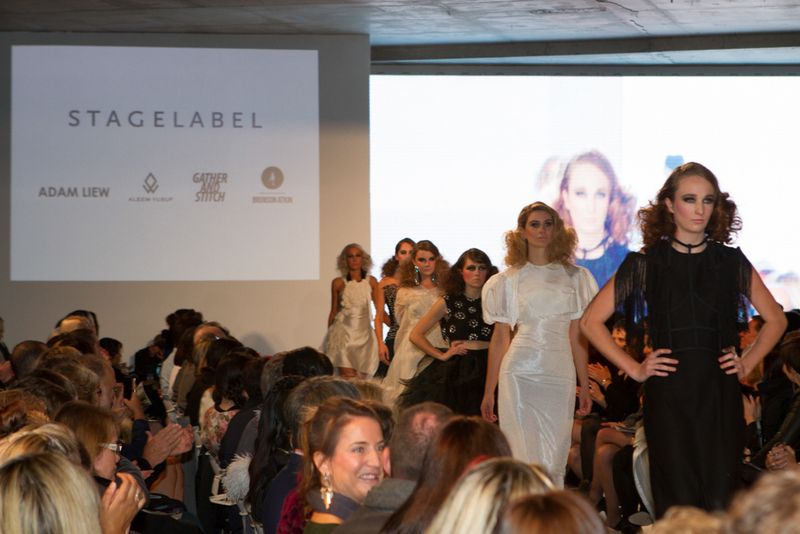 StageLabel are excited to announce the competition for aspiring designers, which will feature the winning designers garments on the runway at the StageLabel Interactive Runway as part of the Virgin Australia Melbourne Fashion Festival 2015 Cultural Program. The runway event will feature talented designers from across the country, and three lucky winners will receive an all expenses paid showcase at the festival, including hair, make-up and models. The major prize will also feature a fast tracking of garments to StageLabel projects, and a one-on-one strategy session with StageLabel CEO Rohit Bhargava to help designers grow their brand. Entry to the competition is via the StageLabel website (https://stagelabel.com/vamff ), where members of the public can vote on entry submissions. Voters will find a fashion editorial shot representing each designer’s label, and winners will be selected based on the number of votes as well as input from the StageLabel team. For your chance to register votes on design entries simply visit https://stagelabel.com/vamff and check out the submissions. Follow the prompts and have your say on who makes it onto the runway at VAMFF 2015. The competition presents a wonderful opportunity for up and coming designers to be involved in a national event, and have the chance to see their designs brought to life. This competition allows emerging brands to gain greater exposure and clientele, with the event providing the industry professionals and passionate fashionistas in attendance early access to “shop the runway” on the night. Competition winners will be announced in the final week of January 2015. The runway will take place at the Showtime Events Centre on Friday, 27th September as part of the Virgin Australia Melbourne Fashion Festival 2015 Cultural Program. 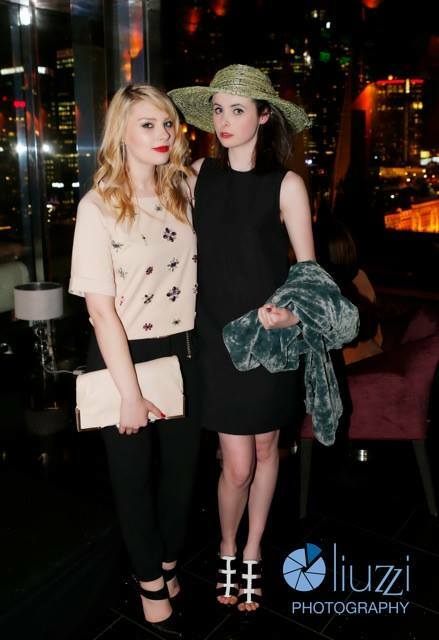 Posted in Uncategorized	Tagged Aspiring, Australia, brand, competition, desingers, fashion, garments, runway, runway show, stagelabel, VAMFF 2015, Virgin Australia Melbourne Fashion Festival 2015 Cultural Program. 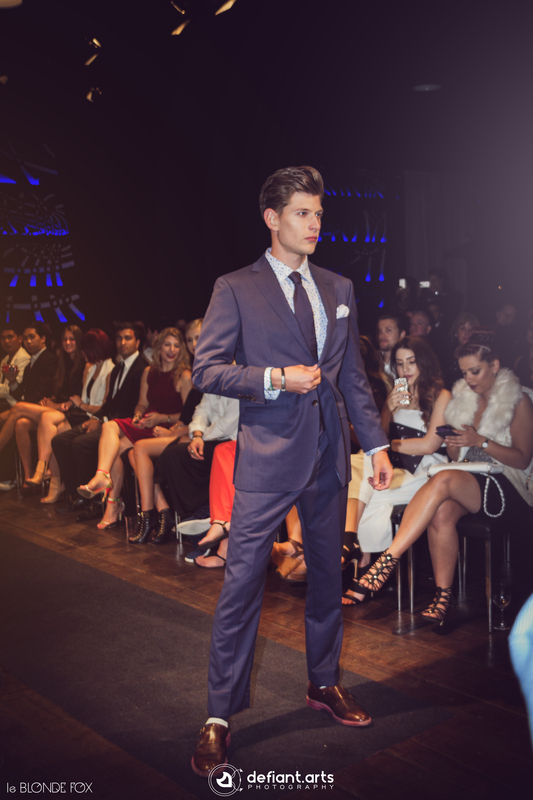 It was an unbelievable privilege to be invited to one of Melbourne’s exclusive Fashion shows – STAGE LABEL MSFW. Collaborated with the elite A list of who’s who in this iconic industry held in the regal palace namely, the MON BIJOU overlooking Melbourne’s vivid lights. As the elevator doors slowly opened, my eyes gazed towards the opulence of the carefully created scene. The adrelenin of countless guests waltzing around the shimmering room tapping cheek to cheek with fancy cocktails in hand to mark their territory. We were cordially welcomed by beautiful host Letitia Sindt and Liam Hall and with a gracious greeting from CEO Rohit Bhargava. What made this event up close and personal was the interactive show case. Interactive you ask? Yes, guests flocked to communicate contentedly to designer’s who were mingling and happy to tell their stories around the plush busy suite. Engagement with the closeness of striking models professionally strutting on and off the narrow runway was breathtaking. The aroma of the fabrics swishing in the air as models raced past me was spectacular. The norm for these events you would be a part of the audience observing designer’s collection, not at this event, you were part of this stunning show. Excitingly gathering my thoughts walking up the staircase, people were whooshing past to make their statements to finalize last minute details. Throughout the evening I tapped shoulders with proprietor Mike of the successful Toni and Guy salons from St Kilda and Armadale as well as the prosperous Toni and Guy team also from St Kilda and Armadale locations. Thanks to Mike a backstage VIP pass was issued to me and did I grasp the opportunity to investigate the vibe. Backstage I had the prospect to meet another icon designer, Brittany, whom I will be featuring on my blog at a later stage. The show had begun with models boasting each designer’s unique collection gliding down the runaway. I loved every moment of this extraordinaire showcase. Each designer showcased during the evening is featured in an interview steered by ROHIT below. Rohit Bhargava, StageLabel’s Creator and CEO, noticed countless talented designers were struggling to gain recognition in the highly competitive fashion industry. After witnessing himself that many of his peers unsuccessfully beginning their own label. Rohit had a vision and stage was born. launching in November 2013 StageLabel has already signed over 85 designers across Australia to it’s unique platform and will be launching international designers to our platform in the near future. StageLabel provides pathways for our designers. StageLabel connects emerging designers with a fashion forward community, who get to select which designers and garments are going to be successful on the platform, and in return, receive an early access period to pre-order limited run, custom made items as well as additional rewards and discounts for the first few backers for each Project. This allows designers to be smarter with the way they invest their limited capital and by providing the funds for the entire production run by pre-selling garments, we remove all the risks associated with creating and holding a large inventory of items. Congratulations to the team. I cant wait to see this brand achieve more everyday helping others achieve their dream in the industry. 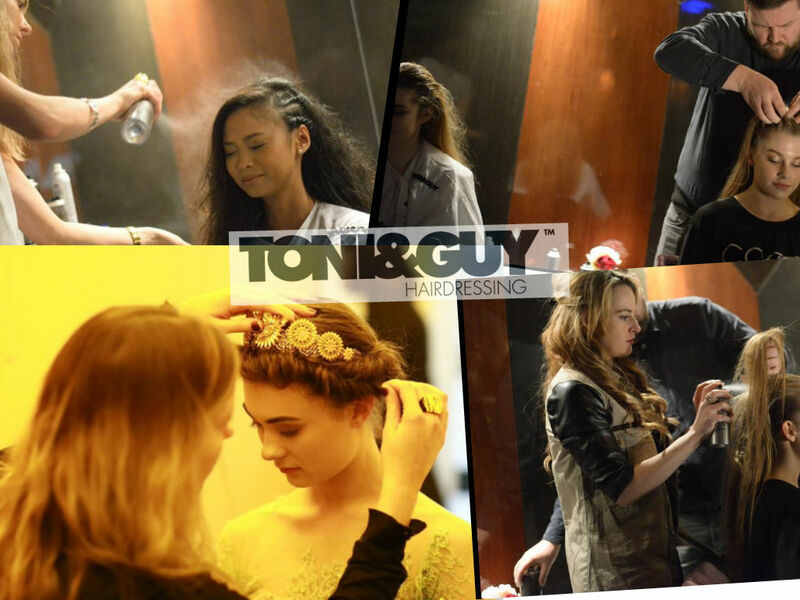 Behind the scenes the crew from TONI & GUY. Fresh from the UK runway hairstyles. The team did a superb job with creating all the hairstyles for the show at stage label on the night. May I add the most friendliest hairdressers I have met. All had such beautiful personalities it was a pleasure to had met them all. Special thanks to CEO Rohit Bhargava for supplying me with these interviews of each desinger on the night. Like what you see? 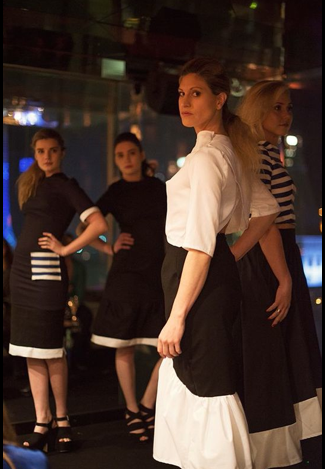 Head to https://www.stagelabel.com/projects to purchase your favourite garments from the night! As well all links to garments are below each photo. How the label started/ how long it has been around for:I’ve been designing since high school. I haven’t launched my label yet. 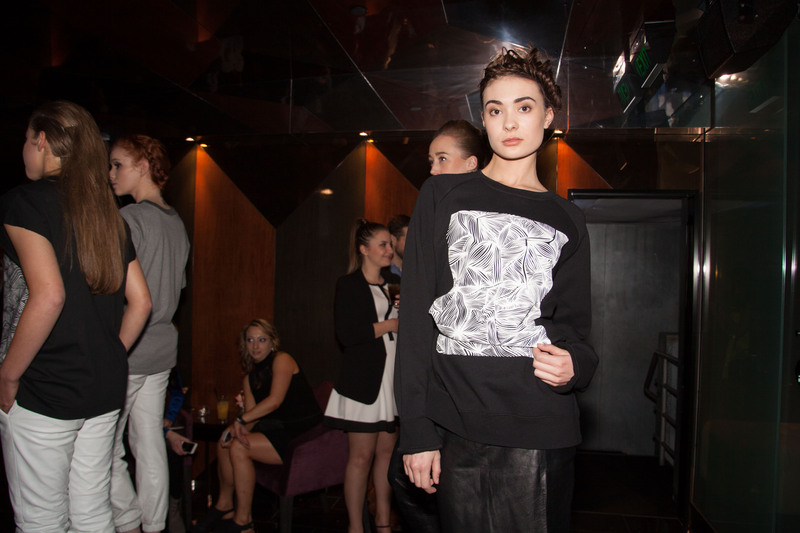 New Zealand fashion designer now based in Melbourne. 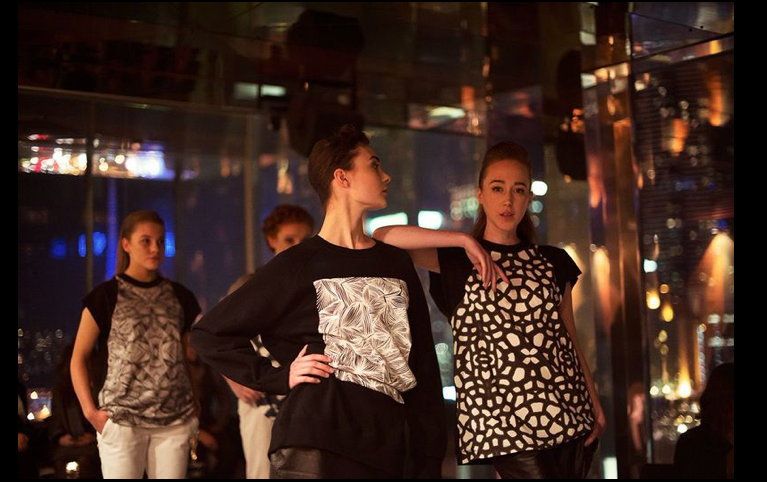 I have shown several of my own designs at New Zealand Fashion Week with one winning a highly commended award. I have also made it to the finals in two design competitions in New Zealand. How the label started/ how long it has been around for? Started working on it in Jan 2014, launched online store in June, 2014. ! ! s.L.c the label began its conception when a considerable gap was discovered within the Australian fashion market for flatteringly comfortable and easy-to-wear garments with an understandable price-tag. Your inspiration/ vision behind your collection? Through pattern placement, fabric selection & overall cut, s.L.c seeks to create a look that is highly C.C.C: Clean, Cool & Comfortable. Furthermore, it prides itself on its highly creative design process. All prints are derived from Samantha’s original hand-drawn illustrations which have been resolved with necessary technical modifications. This collection is heavily underpinned by three things: wearability, comfort and form. It works under the strong belief that style is & should always remain easy. My digital prints are 100% original, derived from my own hand-drawn illustrations. Styling tip: Pop them on with basic bottoms (leathers, denims, marl greys) and you’re good to go! How the label started/ how long it has been around for :I am currently working on launching my label, as it is now progress. I have started last year after I registered as a designer at fashion gala ( butterfly foundation) charity event. Your background: Currently studying fashion design and technology at RMIT. I’ve realized how much I wanted this and, now, working to hopefully towards launching my label. As I am still 19 years old, I have a lot to learn. I do not want rush into something that is beyond my reach. I am Ambitiously working hard, experiencing and learn about the fashion industry. My vision for KKOYU is to depict modesty and sophistication. I truly believe modesty is a way of elegance and class. It is what every woman should have. This mini collection is based on the inner beauty of flower. I am inspired by flower movement of wind, layers and the shaping of variety of flowers. I’ve looked into monet garden as a research. When females wear these pieces I want them to embrace their inner beauty. regardless of age or time we should always be beautiful in what we wear, this range truly depicts the feminine nature within us. Whilst I was designing these looks, i wanted to suit wide range of customers. So with each garment you can dress it up or down changes to your event. A pair of suede heels and oversize coat, or nike sneakers under the pedal dress. Will look great either way. The colour platte is neutral so embrace bright colours through your lipstick choice or accessory choices. Your background: I have always been a creative person, but came to focus on fashion, probably because of my love for clothes. 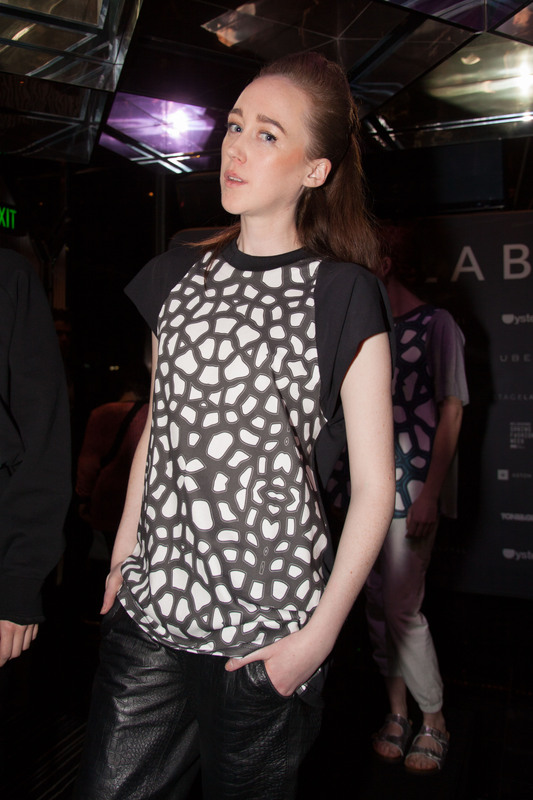 I studied at RMIT, and now have a Bachelor in Applied Science – Fashion Technology. This course gave me the skills and knowledge to start my own label.! Your inspiration/ vision behind your collection: I love working with bright coloured fabrics, and combining two fabrics within a garment. The two dresses are a perfect example of this. The t-shirt and playsuit were inspired by all the mesh that is around at the moment, and combining two textures within a garment, instead of colours. A styling tip for each piece: The Majorca dresses can be worn casually on a summers day, paired with black sandals and accessories. Or dressed up for a night out, with some sleek heels, and a black clutch. Similarly, the Elizabeth Tee can be dressed up, or down. It would look great with some denim shorts, or leather-look leggings, and heels. The Victoria Playsuit is more suited as eveningwear, with some elegant heels, black clutch, and subtle jewellery. Back ground: I have always been interested and intrigued by fashion and have currently studied the Advanced Diploma of fashion design and technology at Kangan Institute. When finishing school I aim to produce and sell my own brand of clothing under Brittney Ann and to eventually open up my very own shop in Melbourne. Inspiration: I was originally inspired by texture for this collection as you can see in the velvet jackets and the dots on the minky dot dress. It was then I experimented in weaving and was taught by an aboriginal elder to weave baskets out of matt rush grass, I then interpreted this technique into my own style, hence where the grass top and hats were born. This collection is based on textural fabrics, androgynous silhouettes with elegant touches such as open backs and ambiguous darts. Styling tips: The ready wear pieces can be styled together for day or night. With exception of the grass woven top which is an avant-garde piece and she only be worn on special occasions. I am a Fashion Design and Technology student at Kangan Institute Richmond, doing my final year of the Advanced Diploma. Colour has always inspired me and I love to experiment with different textures, colours and patterns. Having grown up in Singapore i was immersed in different cultures this influenced and inspired an oriental touch throughout most collections. I’ve always been involved in theatre – both acting and costume design which has informed my approach to fashion design – bringing an element of the theatrical to everyday. LSD collection is all about having fun – bringing colour to winter, and being adaptable and versatile. This collection moves from day to night and can be accessorised with casual flat shoes or heels, but pair the collection with high platforms to fully compliment its 60s origins. Similarly have fun with hair and makeup – tease up hair and line and shadow eyes to bring flower power back!! ! I started Gather and Stitch in 2010 about 6 months after finishing a degree in Visual Communication at UTS. In 2009 when I was visiting Sri Lanka, I was in a rural village where they did not have enough money to finish building a building to teach children (after school tuition given free of charge to monetarily disadvantaged children). I saw this building at the time and wondered if there was anything we could do back in Australia to help out. I started planning a fashion show to raise the money and also to launch the label. I created Gather and Stitch in order to do the fashion show and it took off after that. On the 29th of August 2010, the fashion show raised $5000 (the building is finished now!) and attracted 315 guests.! ! The fashion show was co organised by my now husband, his expertise and know-how contributed heavily to its success. There was also around 52 friends who helped make that day work from sound to make-up to backstage – everything happened because of them. For the last 4 years I have created a studio from home and use this as the base for Gather and Stitch. It has grown into a couture fashion label, as well as including hair and make-up artistry as a service.! ! Your background: Background in Design – Bachelor of Visual Communication @ University of Technology Sydney. ! ! Your inspiration/ vision behind your collection: Summer sunsets, ice-cream, the beautiful ‘blues’ and ‘pinks’ the sky and ocean make at dusk. When each garment arrived out on the runway. The elegance to each garment came alive, the beautifully textured lace garments each piece was so gently and beautifully created. It had a romantic and elegant vibe to each.